Dodd-Frank also provides a substantial award for persons who provide whistleblowing tips to certain governmental agencies. This provision of the law has garnered substantial media attention. Specifically, a whistleblower who provides the Securities and Exchange Commission (SEC) or the Commodity Futures Trading Commission (CFTC) with original information that results in a financial penalty of more than $1 million may receive an award between 10 percent to 30 percent of the amount recovered by the SEC or CFTC. Almost anyone can be a whistleblower under this bounty program--it is not limited to employees. Whistleblowers can act anonymously through counsel, and their identity may never be publicly-known. This encourages whistleblowers who may otherwise be fearful of negative repercussions from reporting corporate wrongdoing. The existence of this provision acknowledges that employees and others who are privy to corporate activities are important sources of information to uncover corporate fraud and wrongdoing. 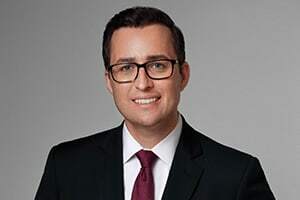 If you have whistleblowing information that you wish to report to the SEC or CFTC, and wish to retain counsel, you can call Attorney Eric Dinnocenzo at (212) 933-1675 for a free consultation.